In the postgame words of New England Patriots Head Coach Bill Belichick, his team was “outplayed and outcoached” during the AFC Championship match-up against the Baltimore Ravens January 20 at Gillette Stadium in Foxborough, Massachusetts. There’s an understatement. Despite leading at halftime the Patriots may as well not have taken the field for the second half. Back from the locker room, they seemed to lack the desire to win. Their season was brought to a screeching halt by a Ravens defense and offense that swooped over the Patriots in front of a home field crowd in a 28-13 loss. Uncharacteristically, the Patriots didn’t just lose – they lost badly. “We just couldn’t make critical plays when we needed to,” quarterback and three time Super Bowl champ Tom Brady said during postgame interviews. There were injuries to deal with – Rob Gronkowski who broke his forearm last week in the Patriots win over the Houston Texans watched the playoff game from the owner’s box with Robert Kraft. Cornerback Aqib Talib hurt his thigh during the playoff and Stevan Ridley lost the ball during a key possession after being knocked on his back, appearing nearly knocked out as Ravens scrambled and jumped on the ball. In a review by the officials it was ruled an interception, a decision which Belichick said was beyond his control. And that’s just the tip of the iceberg. Unbelievably, and again uncharacteristically, there were poor choices by the Pats, interceptions and overall poor execution. It was hard to fathom that this was the same team which one week ago played to near perfection. Instead of a battle well-fought or a victory, the highlight of the playoff for Pats fans was a great rendition of the national anthem by country band Gloriana. Now of course, the Super Bowl can be promoted as a first ever face-off between coaches who are also brothers and a sentimental trip to New Orleans for the Ravens Ray Lewis, described as a likely future Hall of Famer, who is retiring at the end of this season. Ravens Coach John Harbaugh even congratulated his brother Jim Harbaugh, coach of the San Francisco 49ers on camera for having cliched a spot in Super Bowl XLVII just before the Patriots – Ravens game on Sunday. Now, mega, mega, mega millons can be made promoting the ultimate in sibling rivalry, a scenario that seemingly promises to draw in even viewers who might otherwise not have watched. Yes, the Ravens were hungry to avenge a previous playoff defeat against the Pats. 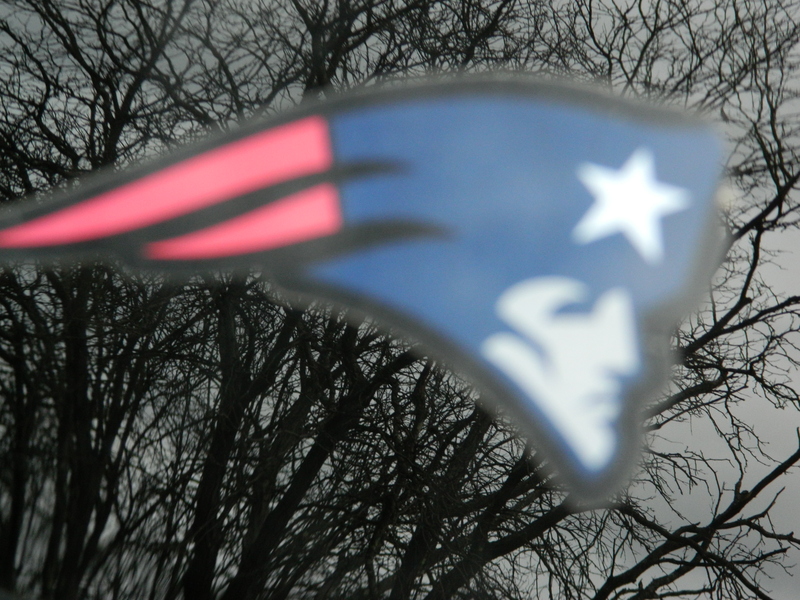 But rather than leaving fans frustrated and bewildered, the Patriots should have at least shown up to play.